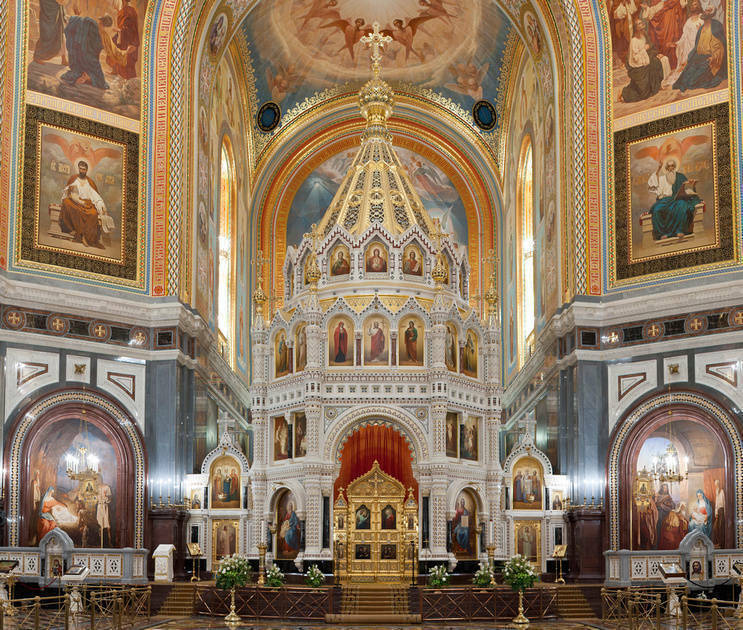 Russia’s largest Orthodox cathedral is a major Moscow tourist attraction, on par with the Kremlin and Red Square. The Cathedral hosts precious relics, including a particle of the Holy Robe, that of the Robe of the Most Holy Theotokos, a Holy Nail and miracle-working icons. 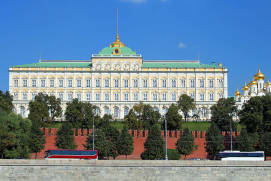 The 40-meter-high sightseeing platform gives a lovely view of the Kremlin, Volkhonka Street and Zamoskvorechye District. 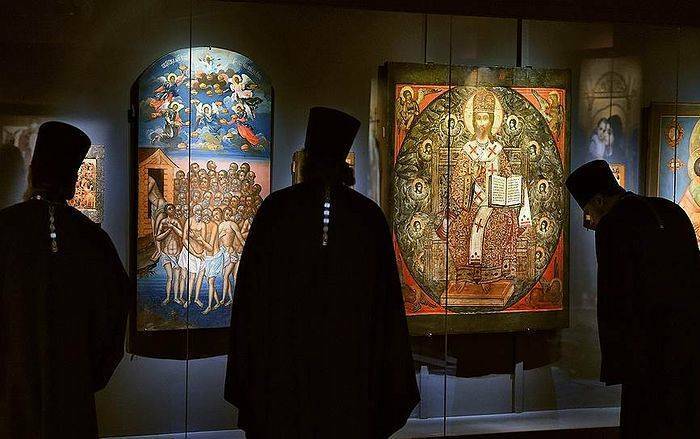 The Patriarchal Museum of Church Art traces the history of the cathedral and the history of church art spanning fifteen centuries. 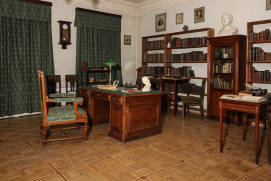 You can book a guided tour (in Russian only) at the tour desk. The area around the Cathedral is worth a visit, and tourists will enjoy strolling around historic streets and exploring local museums. 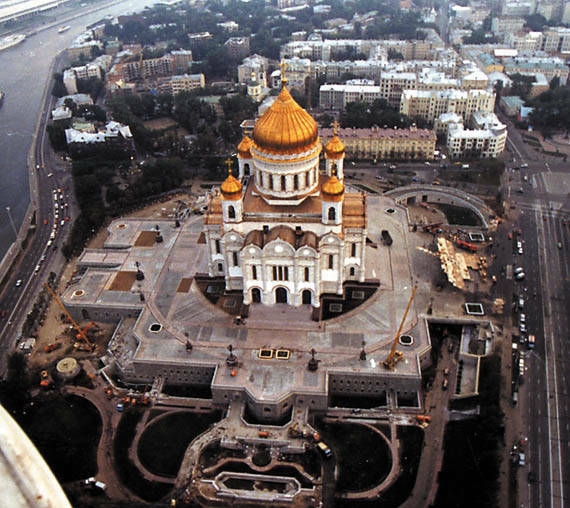 The Cathedral of Christ the SaviourRussian: Hram Hrista Spasitelya or Храм Христа Спасителя is the largest Orthodox cathedral in Russia, being of at least the same importance to Moscow as the Kremlin and Red Square. 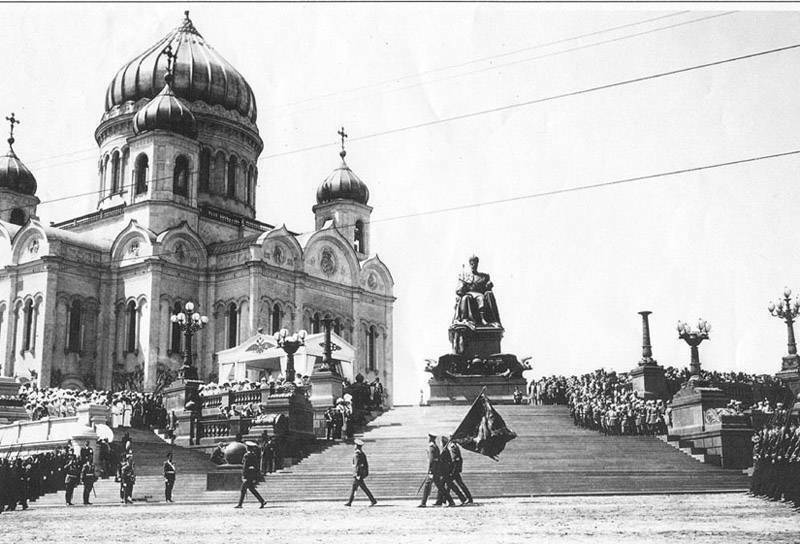 The history of Russia of the 19th and 20th centuries is mirrored in the history of the Cathedral of Christ the Saviour. 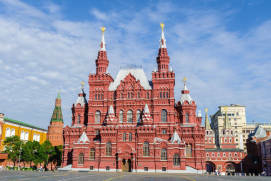 This majestic memorial cathedral erected on the bank of the Moskva River opposite the Kremlin was built to gratify God for saving Russia from Napoleon’s invasionin 1812. 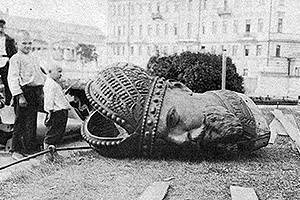 It was pitilessly demolished by Bolshevists in Stalin’s times and later restored as a replica using citizens’ funds. The Cathedral was consecrated on Transfiguration DayRussian: den' Preobrazheniya Gospodnya or день Преображения Господня, 19 August 2000, as a symbol of the transformation of Moscow and Russia and the renunciation of its theomachic past. 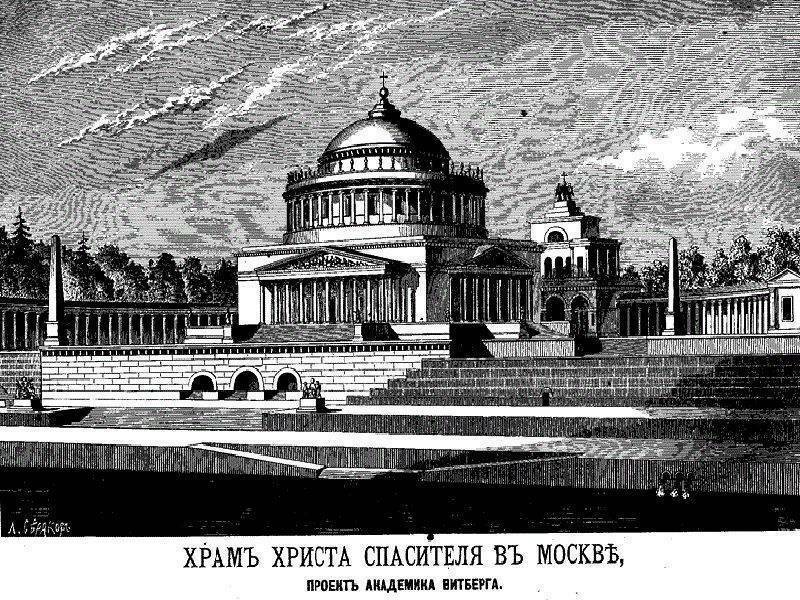 Moscow’s cathedral of Christ the Saviour was under construction and embellishment for as long as 44 years (from 1839 to 1883). 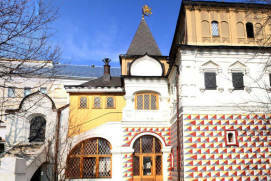 Its designer Konstantin Thon was a pioneer of the “neo-Russian” architectural style. 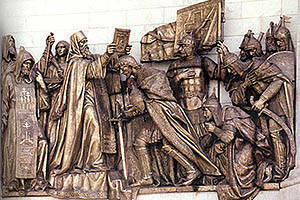 Apart from him, the best sculptors and artists worked on the project. The ingenious Russian composer Pyotr Tchaikovsky wrote his 1812 Overture for the consecration ceremony, attended by veterans of the Patriotic War of 1812the war between the Russian Empire and Napoleonic France on the territory of Russia in 1812. 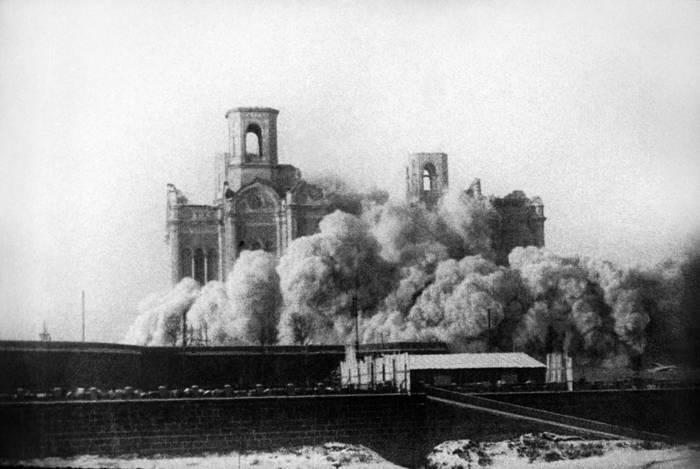 In 1931, the Cathedral of Christ the Saviour was dynamited to make way for the Palace of the SovietsRussian: Dvorets Sovetov or Дворец Советов, a new cathedral for the new era. The era that challenged the past and the present and wanted to immortalise itself in the highest building in the world, a gigantic ziggurat palace crowned with a 100-metre statue of Lenin. 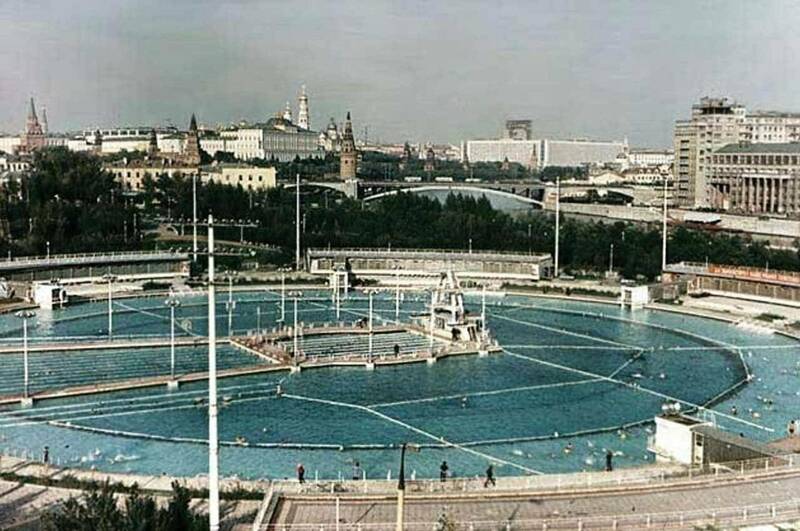 Eventually, communists abandoned their utopian idea and built a swimming pool on the site (Moskva PoolRussian: basseyn «Moskva» or бассейн «Москва»)—a sign of the modest and “warm” Stagnation Period of the 1960s–1980s. 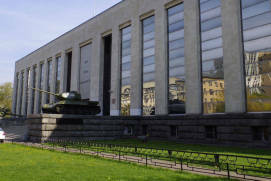 Next followed the Perestroikaa political movement for reformation within the Communist Party of the Soviet Union during the 1980s until 1991 and repentance for the crimes of the past, and the cathedral, restored in the 1990s, became a symbol of putting the historical record straight. 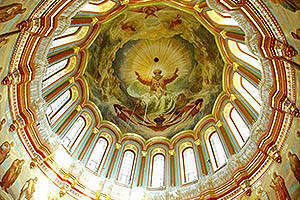 The restored Cathedral of Christ the Saviour is a replica of the original 19th-century one. In plan, this is a cross-domed church with four internal piers. 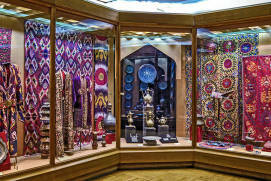 The walls are decorated by chiseled arcades of engaged columns, being topped by kokoshnika traditional Russian headdress worn by women and girls-shaped arcs. The main aisle of the cathedral is devoted to Christmastide, and the two side aisles of the upper church to St Nicholas and Alexander NevskyGrand Prince known for military victories over German and Swedish invaders; the lower church was consecrated to the Saviour’s Transfiguration with the aisles of St AlexiusChristian saint, ascetic and Theotokos of TikhvinRussian: Tihvinskaya ikona Bogoroditsy or Тихвинская икона Богородицы. 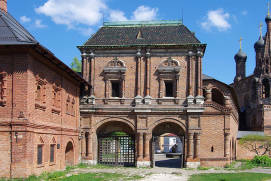 Another section of the cathedral is home to the Patriarchal Museum of Church ArtRussian: Patriarshiy muzey tserkovnogo iskusstva or Патриарший музей церковного искусства, the Council HallRussian: Zal tserkovnyih soborov or Зал церковных соборов, and utility rooms. 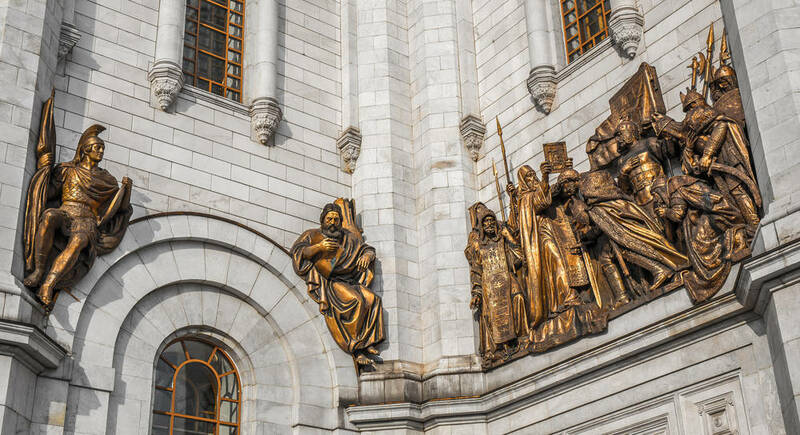 The walls are decorated with bronze high reliefs replicating the original sculptures of the saints on whose feast days the Russian army defeated Napoleon’s troops in the Patriotic War of 1812. 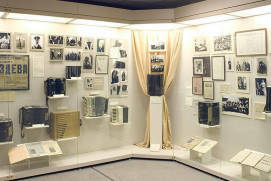 The corners display legendary episodes of Russian military history. 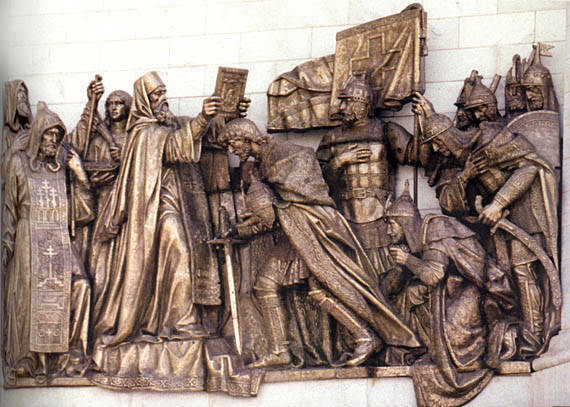 In the right corner, Venerable Sergius of Radonezha spiritual leader and monastic reformer of medieval Russia is blessing Dmitry Donskoythe first prince of Moscow to openly challenge Mongol authority in Russia, the Prince of Moscow, before the Kulikovo Battlebetween the armies of the Golden Horde under the command of Mamai, and various Russian principalities (1380) and giving him two monks, Alexander Peresvet and Rodion Oslyabya. 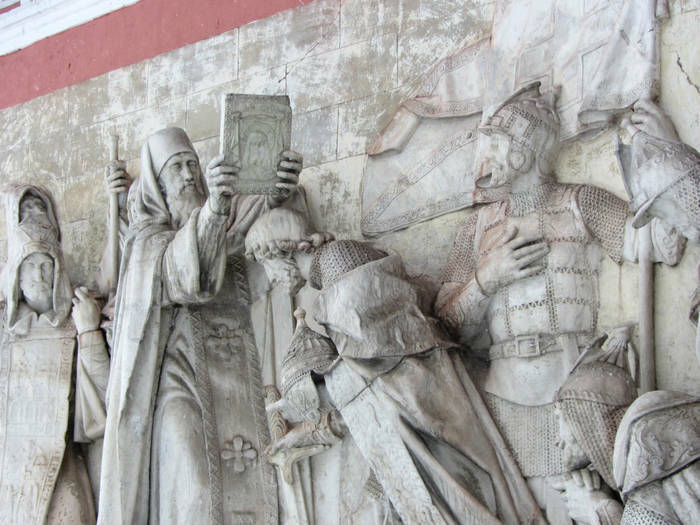 In the left one, Venerable Dionysius, Archimandrite of the Trinity Lavra of St. Sergiusthe most important Russian monastery and the spiritual centre of the Russian Orthodox Church, is blessing Prince Dmitry Pozharsky and citizen Kuzma Mininthey gathered an all-Russian volunteer army and expelled the forces of the Polish-Lithuanian Commonwealth from Moscow before clearing the Polish invaders out of Moscow (1612). 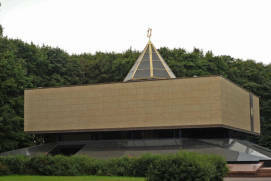 12 bronze gates lead to the cathedral, three on each side. 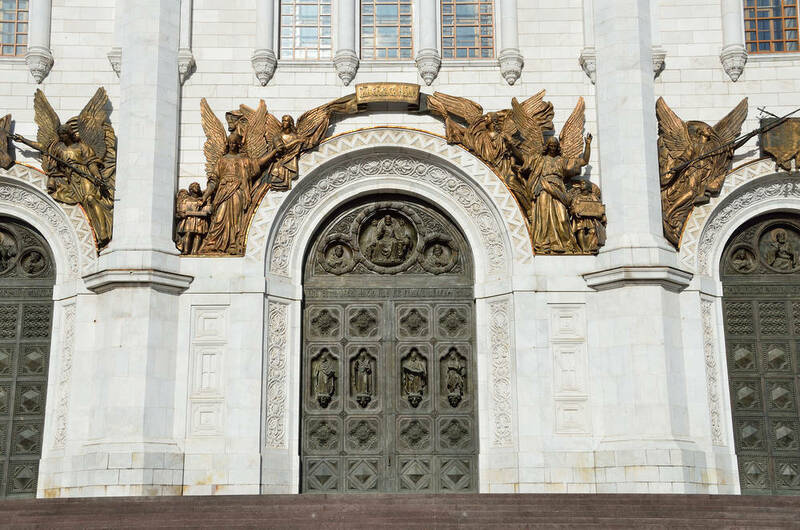 The gates depict the celestial guardians and patron saints of the Russian land; Christ the Saviour is sitting on the throne in the centre of the middle gate arc, with St Peter on his left and St Paul on his right. 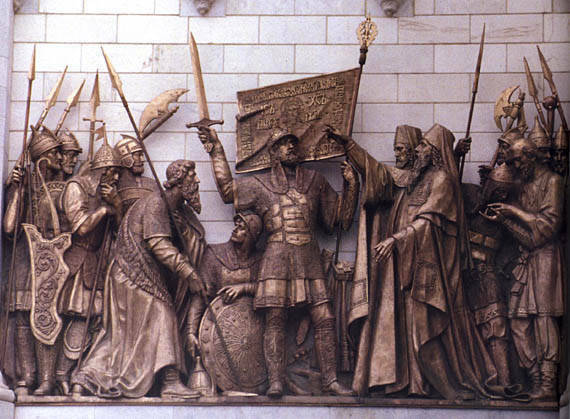 The internal walls display marble plaques depicting the battles of the Patriotic War of 1812 and the Foreign Campaign of the Russian Armythe War of the Sixth Coalition, sometimes known in Germany as the War of Liberation in 1813–1815. Icons and paintings are the centrepiece of the cathedral. 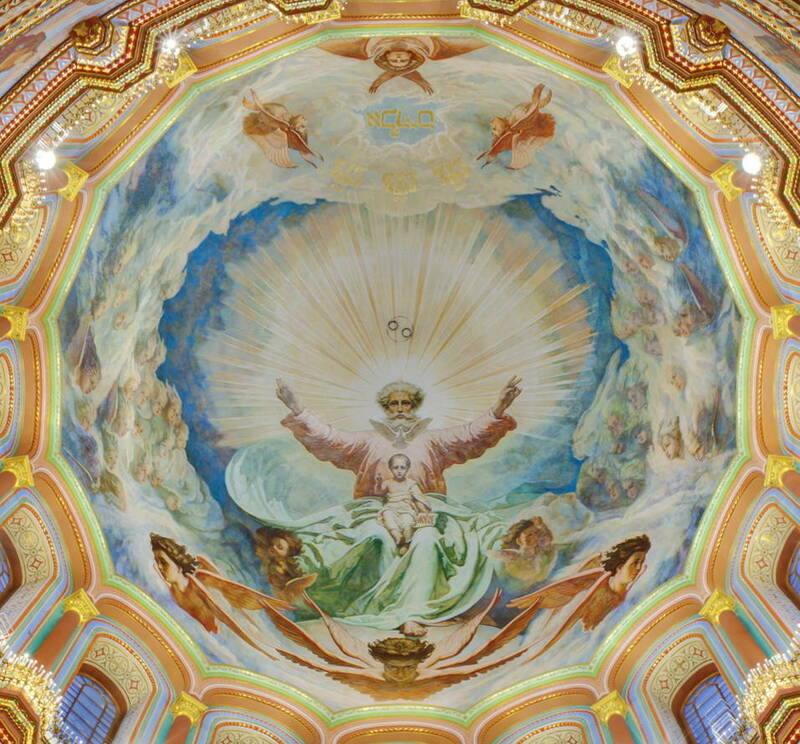 Jehovah Sabaoth disguised as a staretsan elder of a Russian Orthodox monastery who functions as venerated adviser and teacher is displayed in the middle of the dome, near the son of God, who is holding the Charter. The word logos (“word” in Greek) is inscribed on the Charter; a dove is sitting on the starets’ chest, representing the Holy Spirit. 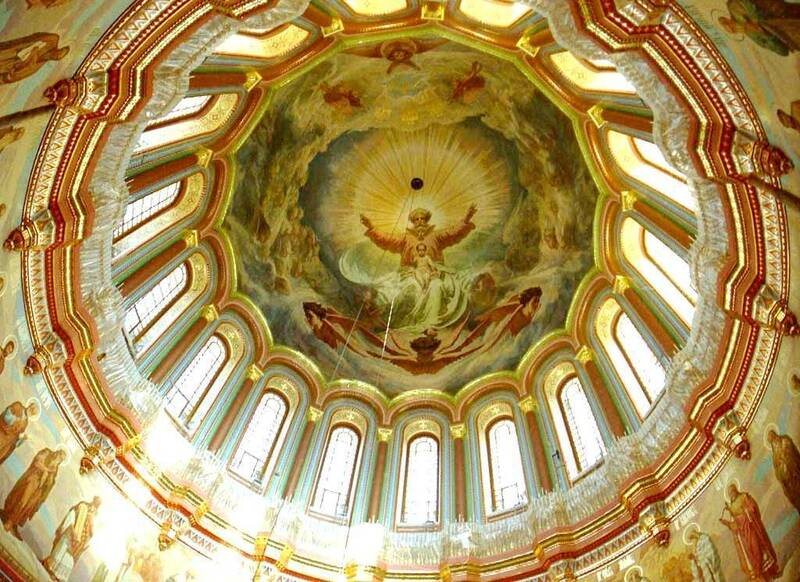 The small domes depict Almighty God, Jesus Christ as a baby and as Pantocrator, and Holy Spirit as a dove. 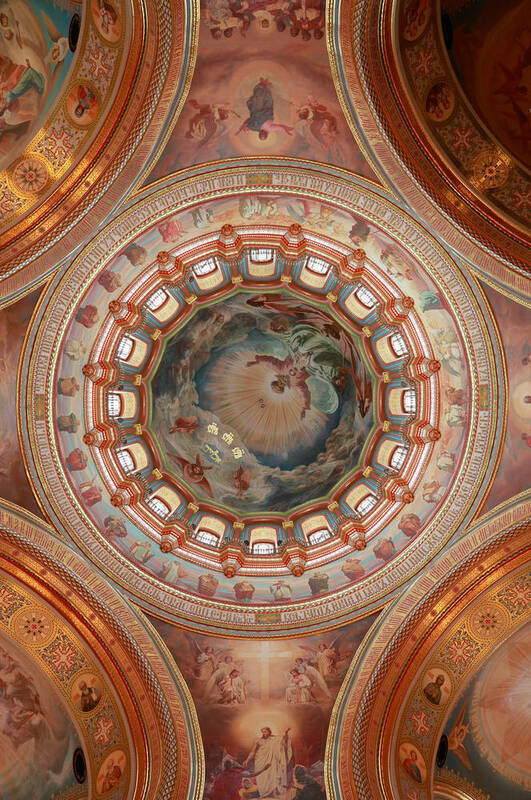 The base elements of the main dome display the three crucial episodes of Jesus’ mortal life: the Transfiguration, the Resurrection, and the Ascension; another base element shows the Descent of the Holy Spirit on the Apostles. 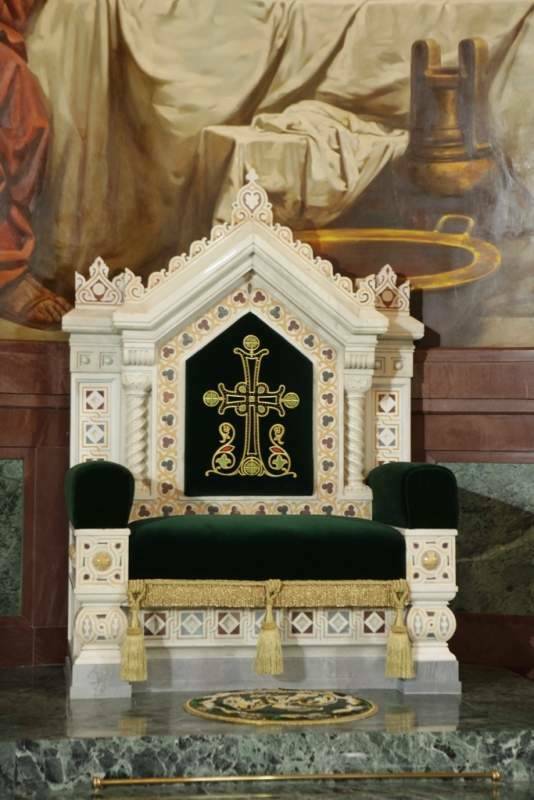 The iconostasis is quite unusual: it has the form of an eight-faceted chapel of white marble incrusted with precious stones; the chapel is crowned by a tent-shaped dome with a cross. The lower tier holds two icons: the Almighty God and the Virgin Mary. 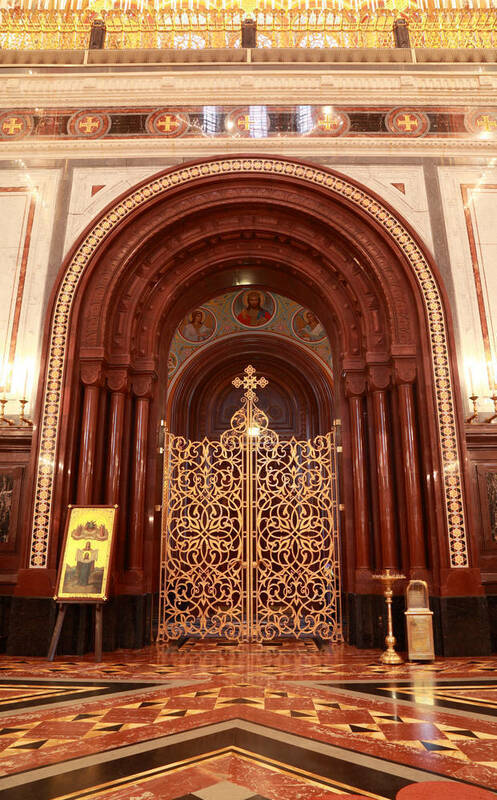 The second tier presents icons of the Feasts of Jesus Christ on the right of the royal doors and feasts honoring the Virgin Mary—the Theotokos—on the left. 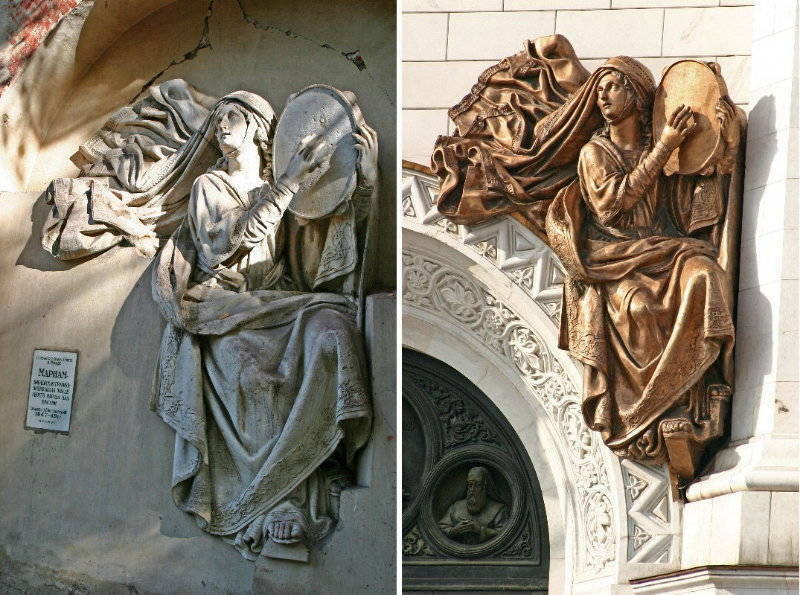 The third tier shows a New Testament church with icons of Jesus Christ, Virgin Mary, and Apostles. 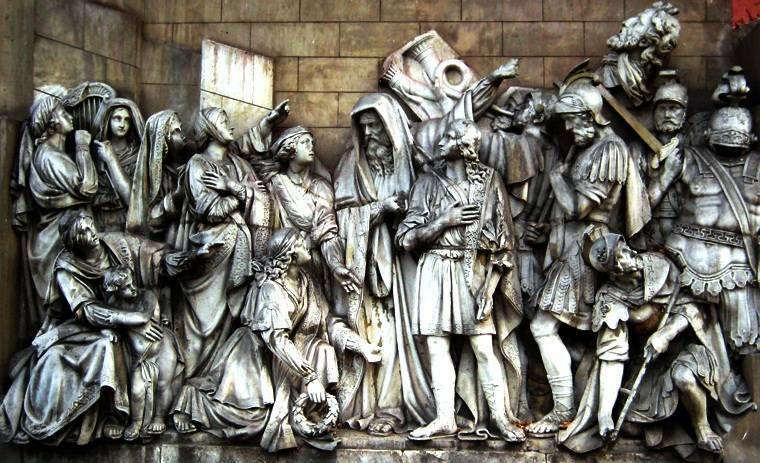 Finally, the fourth tier depicts the Patriarchs and Prophets of the Old Testament. The altar has six paintings preserved by Vasily Vereshchaginone of the most famous Russian war artists. Four bell towers hold 14 bells of various sizes. 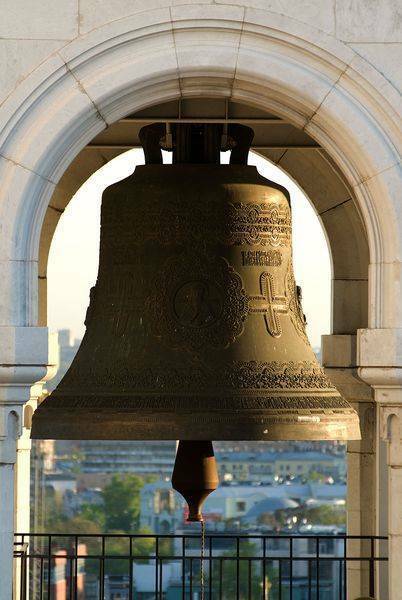 The main bell weighs 27 tons and rings only four times a year. 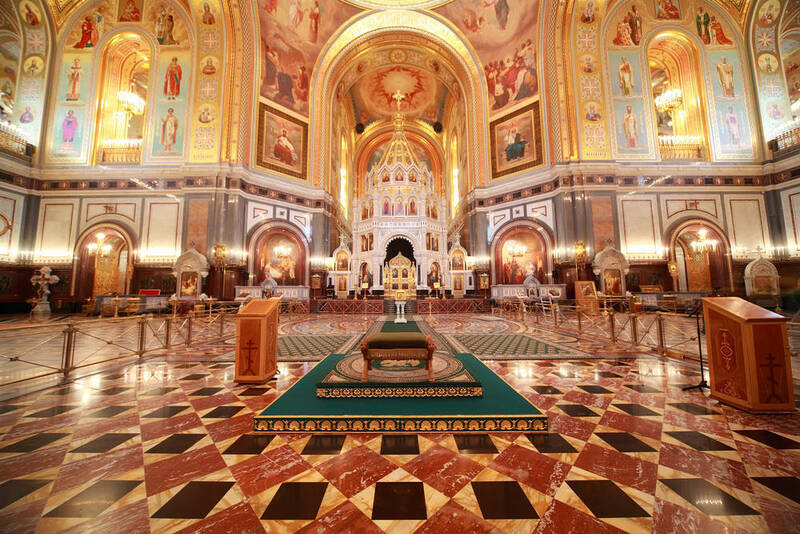 The cathedral floor features precious kinds of marble, jasper and porphyry from Italy, France, Greece and Russia. 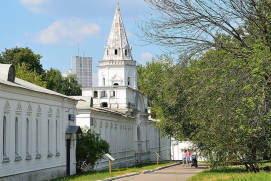 As the Cathedral of Christ the Saviour is the metropolitan cathedral of the Russian Orthodox Church, it is home to some very precious relics: a portion of the Holy Robe, a portion of the Robe of the Most Holy Theotokos, a portion of the Apostle Andrew’s relics; a Holy Nail; the miracle-working icons of the Theotokos of Vladimir and the Hodegetria; portions of the relics of St Alexander Nevsky, Moscow Metropolitans St Peterhe was proclaimed a patron saint of Moscow and St Jonaha retired American Orthodox bishop who served as the primate of the Orthodox Church in America. St Tikhon a bishop of the Russian Orthodox Churchof Moscow’s Throne is another unique relic kept in the altar. 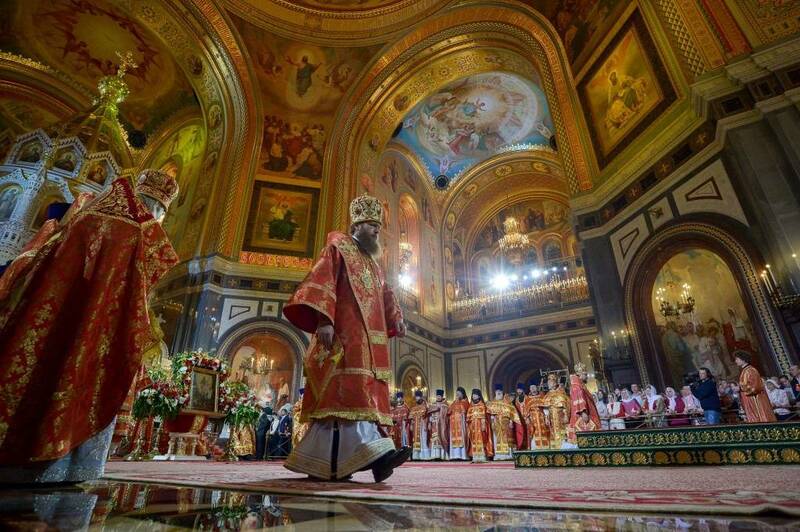 It was in this cathedral that Tikhon was elected Patriarch in November 1917. 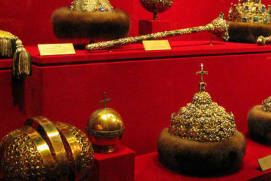 The Cathedral of Christ the Saviour also exhibits relics that are brought to Moscow from elsewhere: this was the case with the Cincture of the TheotokosRussian: poyas Bogoroditsy or пояс Богородицы that was exhibited in autumn 2011 for Russian pilgrims to revere in it, aa well as with the Gift of the MagiRussian: Dary volhvov or Дары волхвов exhibited in January 2014. 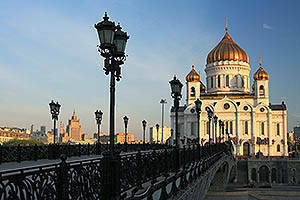 The Cathedral of Christ the Saviour is a permanent Orthodox church. 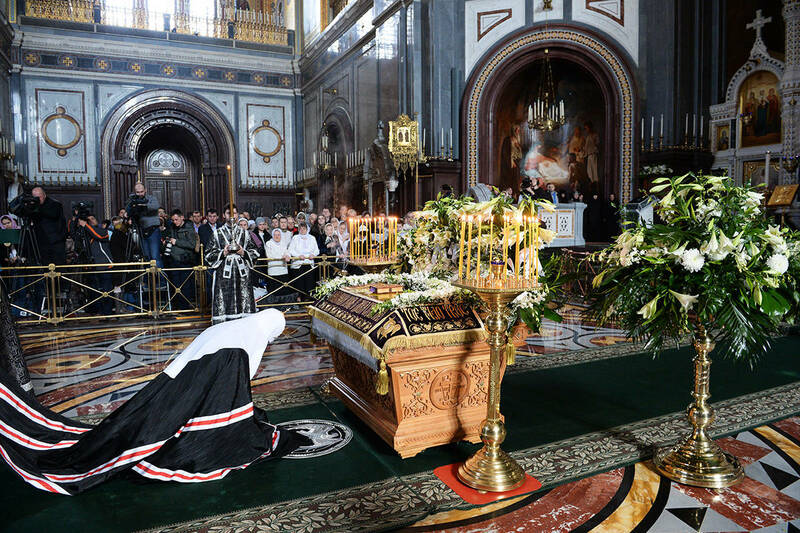 Divine service is performed daily: in the lower Preobrazhensky CathedralRussian: nizhniy Preobrazhenskiy hram or нижний Преображенский храм on weekdays and in the upper Cathedral of Christ the Saviour on Sundays and holidays. 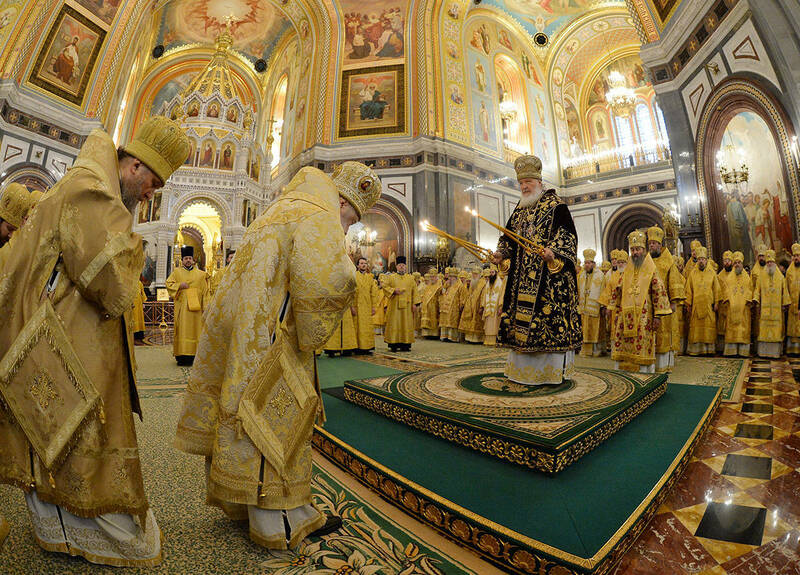 The greatest feast services on Christmas Day and Resurrection Sunday are delivered by the Patriarch of Moscow and All Rus’. The schedule of divine services is available on the cathedral website. Confessions normally commence at 8 a.m., and these are followed by a liturgy. Evening service is usually scheduled at 5 p.m. 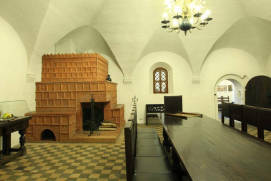 The cathedral has an excursions desk, which you can visit if you enter from Volkhonka StreetRussian: ulitsa Volhonka or улица Волхонка. At the desk, you can order excursions of the cathedral and the sightseeing platform offering a lovely view of the Kremlin, Volkhonka and ZamoskvorechyeRussian: Замоскворечье from a height of 40 metres. 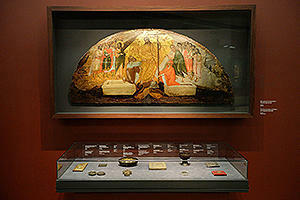 The Patriarchal Museum of Church Art is located in the stylobate part of the cathedral. 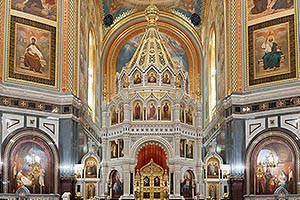 It offers two permanent exhibitions: The History of the Cathedral of Christ the Saviour and The History of Church Art. 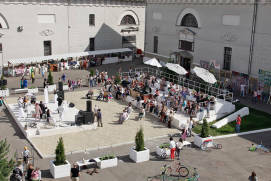 The first one includes fragments of memorial stones from the demolished cathedral, drafts of unrealised cathedral projects (by Aleksandr Vitberg, Giacomo Quarenghi, and Andrey Voronikhin), the 1839 foundation plaque, a small bell and a few original icons from the old cathedral, ancient photos, etc. 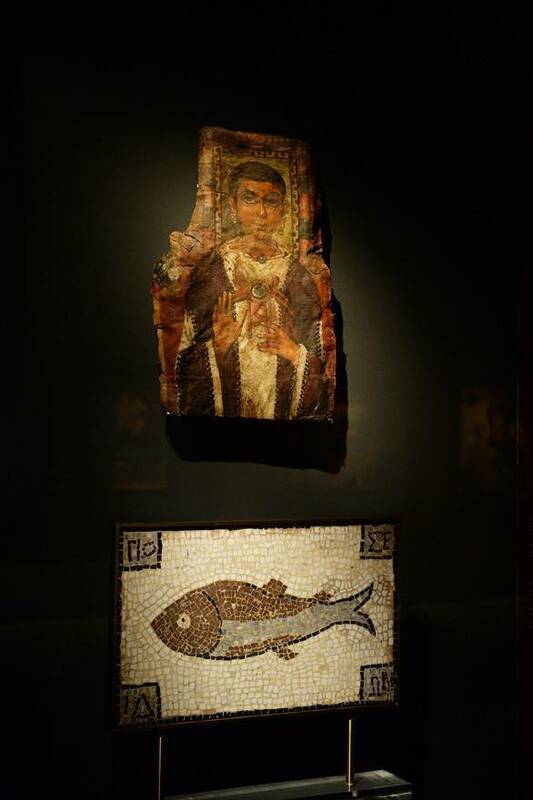 The second exhibition, which is much larger, tells the fifteen-century-long history of church art, from Egyptian Fayum mummy portraits and Syrian mosaic of the 5th–6th centuries to Russian icons of the early 20th century. The museum holds a notable collection of icons from Crete, Greece and Byzantium. 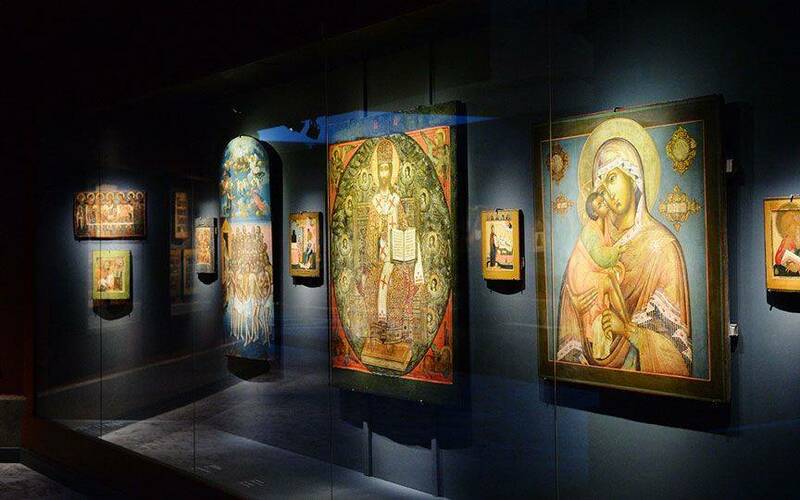 Russian icon painting is also beautifully showcased here (from the Novgorod, Tver and VladimirRussian historic cities schools; the Kremlin ArmouryRussian: Oruzheynaya palata or Оружейная палата School of Icon Painters, icons of the 18th–early 20th centuries). There is an unusual icon of the Palestinian Virgin Mary with Baby JesusRussian: ikona Bogomateri Palestinskoy s Mladentsem or икона Богоматери Палестинской с Младенцем painted by a Sienese School master in the 14th century. 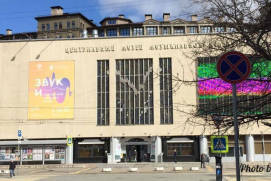 The exhibition ends with Viktor Vasnetsova Russian artist who specialized in mythological and historical subjects’s triptych painted for the International Exposition in Paris of 1899. 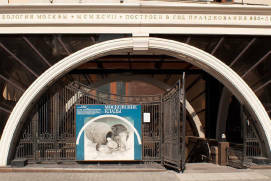 The Museum opened its doors not so long ago, in November 2015. 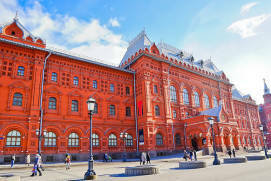 There are few visitors, compared to the Pushkin MuseumRussian: Pushkinskiy muzey or Пушкинский музей and the Tretyakov GalleryRussian: Tretyakovskaya galereya or Третьяковская галерея located nearby. Muscovites and tourists have probably not yet realised how rich and interesting the museum under the Cathedral of Christ the Saviour is. 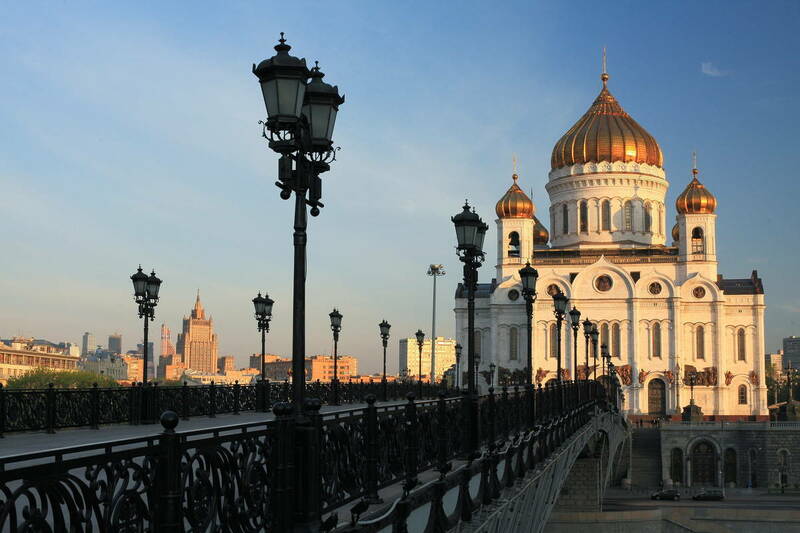 The Cathedral of Christ the Saviour is situated in the very heart of Moscow, a few hundred metres from the Kremlin, on the beautiful bank of the Moskva River. From here, you can walk across the pedestrian Patriarshy BridgeRussian: Patriarshiy most or Патриарший мост to find yourself in Zamoskvorechye, see the amazing Averky Kirillov ChambersRussian: palaty Averkiya Kirillova or палаты Аверкия Кириллова and the St Nicholas Church at BersenevkaRussian: tserkov Nikoly na Bersenevskoy naberezhnoy or церковь Николы на Берсеневской набережной. 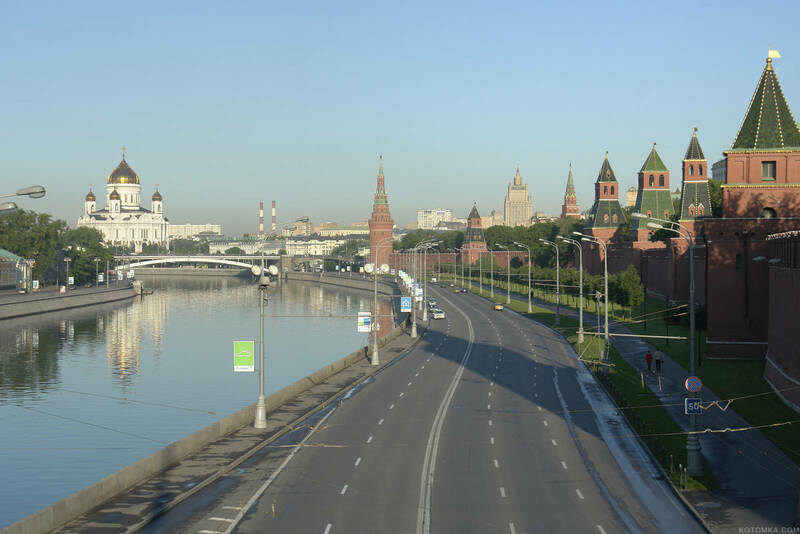 Patriarshy Bridge offers a great view of the Kremlin and its cathedrals, Bolshoy Kamenny BridgeRussian: Bolshoy Kamennyi most or Большой Каменный мост and the House on the EmbankmentRussian: Dom na naberezhnoy or Дом на набережной. As you cross the bridge, you can take a rest in Muzeon Park of ArtsRussian: Park iskusstv "Muzeon" or Парк искусств "Музеон". 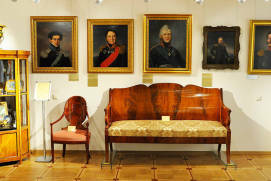 And if you still have the energy, you can go to the Tretyakov Gallery in Lavrushinsky LaneRussian: Lavrushinskiy pereulok or Лаврушинский переулок to see the works of old Russian masters or to the new gallery on Krymsky ValRussian: Krymskiy val or Крымский вал to see Russian art from the 20th century. 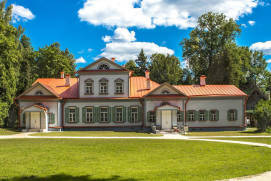 Alternatively, you can take a stroll around the historic streets of Volkhonka, OstozhenkaRussian: Остоженка and PrechistenkaRussian: Пречистенка, visit the Pushkin State Museum of Fine ArtsRussian: Muzey izobrazitelnyih iskusstv imeni A.S. Pushkina or Музей изобразительных искусств имени А.С. 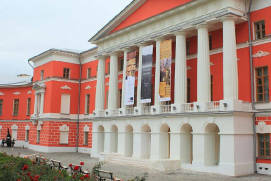 Пушкина holding the largest collection of European and world art, from sculptures of Ancient Cyprus to paintings of French impressionists (Renoir, Monet, Degas). 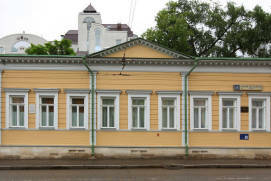 And if you go to Maly Znamensky LaneRussian: Malyi Znamenskiy pereulok or Малый Знаменский переулок close to the cathedral, you will find the International Centre of Nikolas RoerichRussian: Mezhdunarodnyi tsentr-muzey N.K. 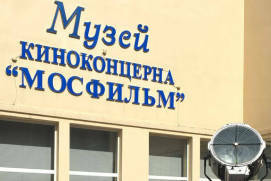 Reriha or Международный центр-музей Н.К. 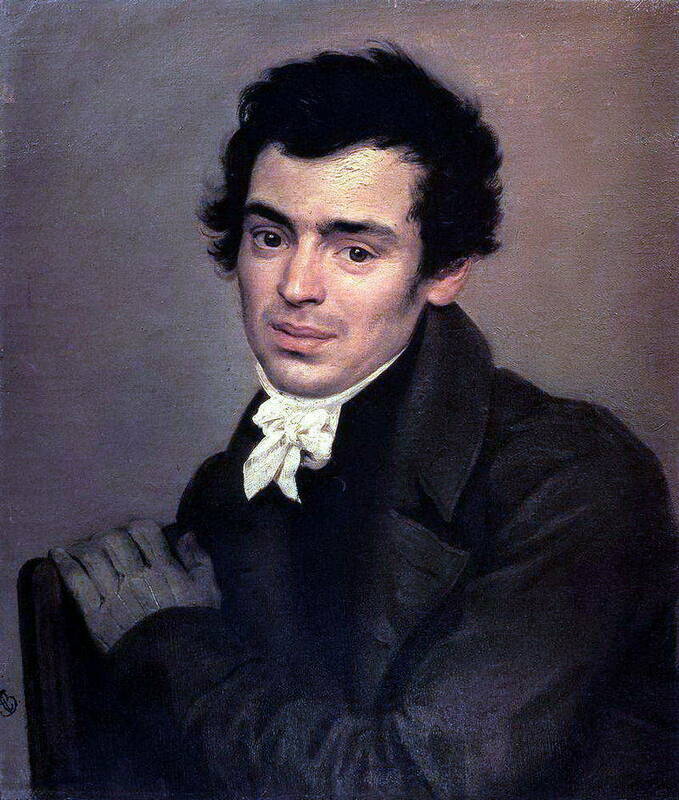 Рериха, famous Russian painter, philosopher and traveler. The history of the Cathedral of Christ the Saviour began in 1812, when Napoleon’s troops retreated from Russia and Emperor Alexander I reigned as Emperor of Russia from 1801 to 1825ordered the construction of a memorial cathedral in Moscow in honor of Christ. 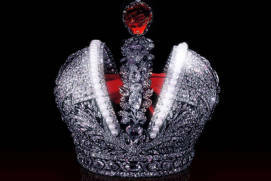 A tender was soon declared, and the project was awarded to Aleksandr Vitberg. 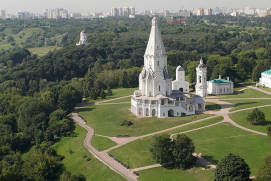 The architect chose the Sparrow HillsRussian: Vorobyovy gory or Воробьёвы горы as the site for the new cathedral: these are picturesque hills south of the Kremlin offering a panorama of the whole city. 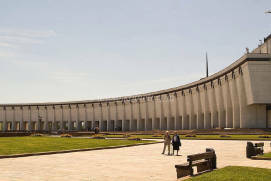 The influence of two great Roman cathedrals can be easily seen in his project: the Pantheon (the rotunda theme) and St Peter’s Basilica (semicircular colonnades). 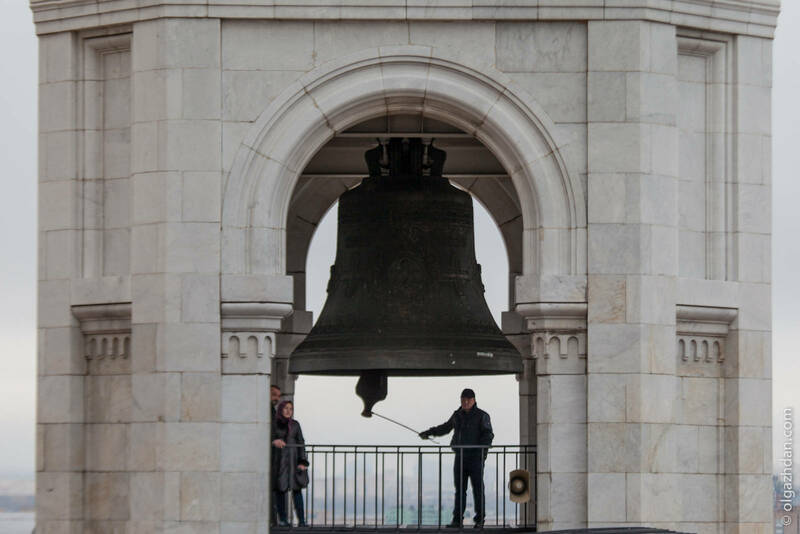 Vitberg’s conception was impressive: a 106 m long front staircase, a 170 m high superstructure (nearly twice as tall as the Kremlin’s Ivan the Great Bell TowerRussian: kolokol'nya Ivana Velikogo or колокольня Ивана Великого), and semicircular colonnades, each 640 m long. 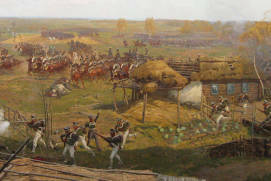 The ceremony of laying the foundation stone was held on the Sparrow Hills on 12 October 1817, precisely five years after Moscow was reclaimed. 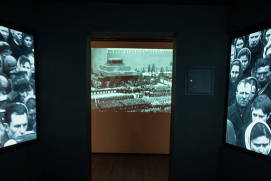 However, Vitberg’s ideas were never to be realised: at first, work was suspended due to ground instability; then, the budget got exhausted at the foundation stage, and Vitberg was fired and charged with squander. 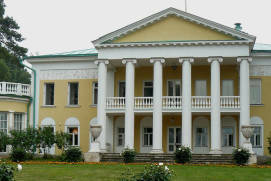 Another tender held in 1829 was awarded to Konstantin Thon. 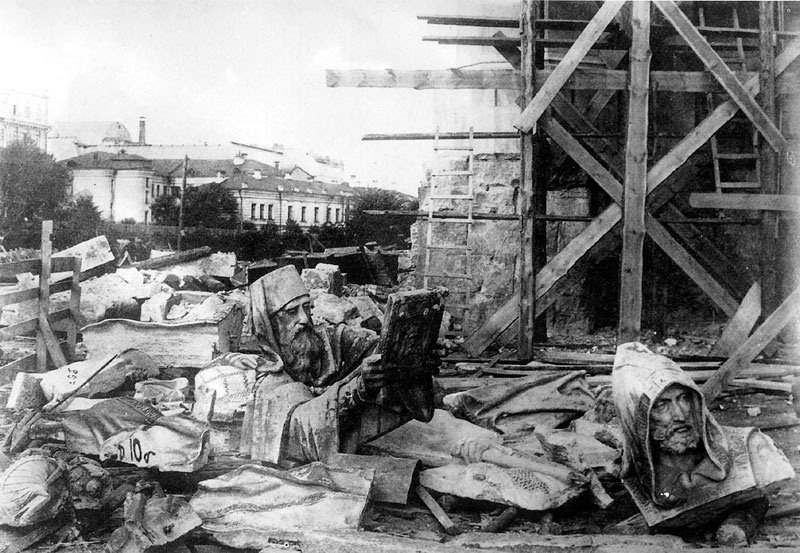 He transferred the cathedral from the Sparrow Hills to Volkhonka, which required the Alekseevsky ConventRussian: Alekseevskiy monastyir or Алексеевский монастырь to be dismantled. As legend has it, the Mother Superior of the Convent refused to leave her shrine and chained herself to an oak; eventually, she was released by force and cursed the cathedral that was to be built instead of the convent. 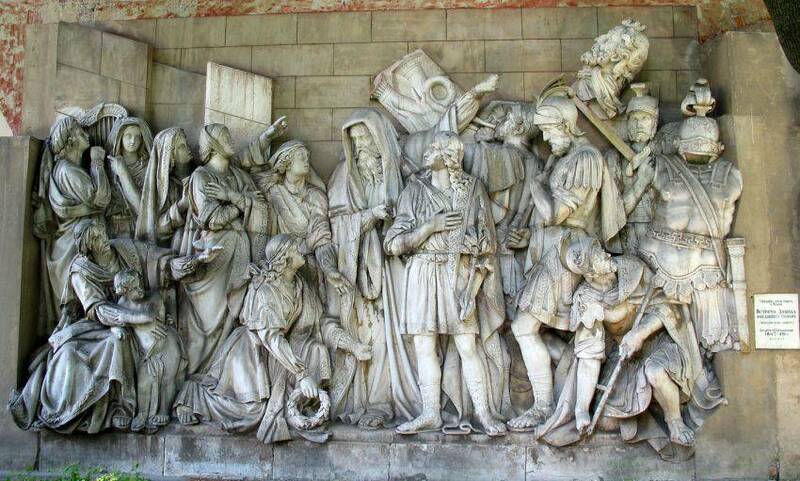 Nevertheless, the foundation was laid on 11 September 1839; the ceremony was attended by the royal family. 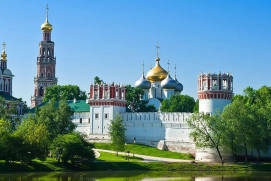 Thon designed his cathedral using the example of ancient Russian five-domed churches resting on four piers and added keel-shaped gables and a row of archlets, the idea for which he borrowed from the Kremlin’s Cathedral of the AnnunciationRussian: Blagoveschenskiy sobor or Благовещенский собор (or, the Dormition cathedralRussian: Uspenskiy sobor or Успенский собор). 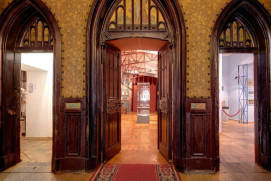 Construction was completed in 1858 and it was followed by a long and tedious embellishment work. 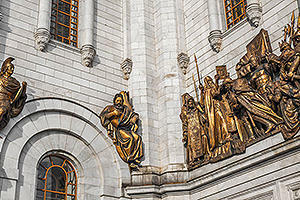 By 1863, the exterior was decorated with high reliefs of saints sculptured by Aleksandr Loganovsky and Pyotr Klodtfamous Russian sculptors of the 19th century . 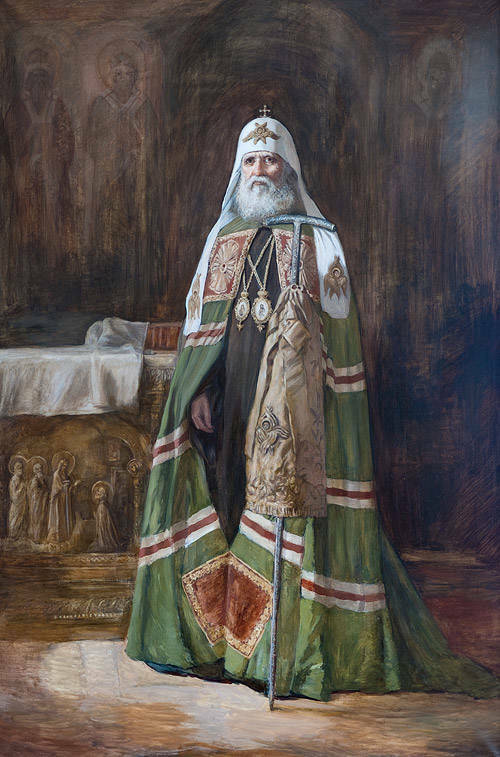 It took almost 20 years to complete all the paintings and inscriptions, with some famous Russian painters involved, such as Henryk Siemiradzki, Vasily Vereshchagin, Ivan Kramskoi, and Vasily Surikov. 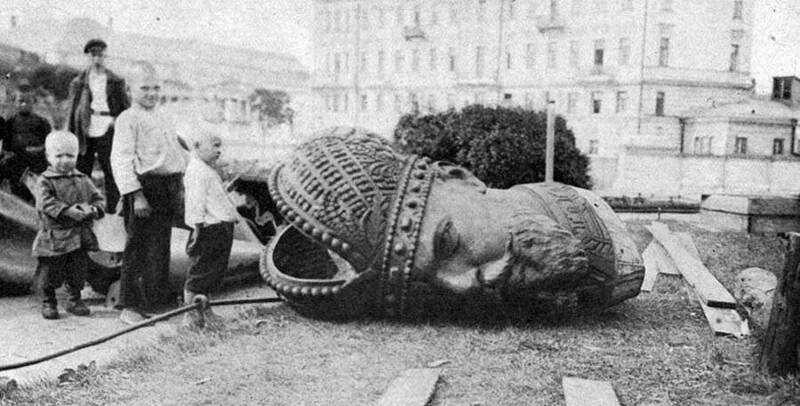 The cathedral was going to be consecrated in 1881 but the festive event was postponed by the assassination of Alexander IIthe Emperor of Russia from 1855 until 1881. In the end, the cathedral was consecrated on 26 May 1883, in the days of Alexander IIIruled from 1881 until 1894’s coronation. 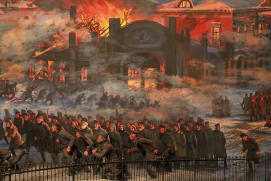 The Russian composer Pyotr Tchaikovsky wrote his 1812 Overture for the consecration ceremony, attended by veterans of the Patriotic War of 1812. 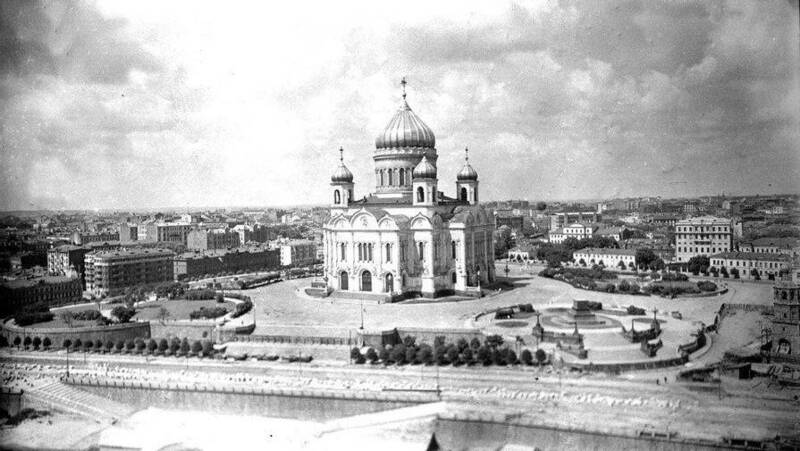 The new cathedral of Christ the Saviour soon became one of the key symbols of Moscow; it was often depicted on picture postcards of the city and visited not only by people of faith but also by tourists, for whom excursions were organised. 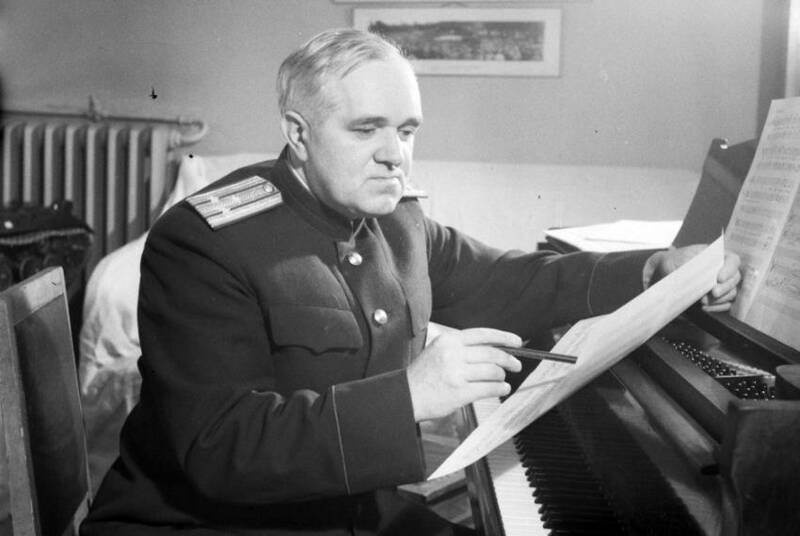 Curiously, in 1918–1922 the Cathedral of Christ the Saviour’s choir was conducted by Alexander Alexandrov, who wrote the music for the national anthem of the Soviet Union which was later used as the anthem of Russia. Mo*: 1 p.m. - 5 p.m.
We: 10 a.m. - 5 p.m.
Fr: 10 a.m. - 5 p.m.
Mo*: 8 a.m. - 7.30 p.m.
Tu: 8 a.m. - 7.30 p.m.
We: 8 a.m. - 7.30 p.m.
Th: 8 a.m. - 7.30 p.m.
Fr: 8 a.m. - 7.30 p.m.
Every day from 10 a.m. until 5 p.m. The entrance to the Cathedral is free. 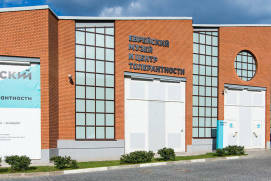 The ticket to the Museum of Church Art costs from 100 to 200 rubles. 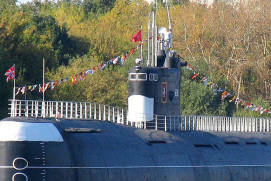 Guided tours cost 400 rubles. 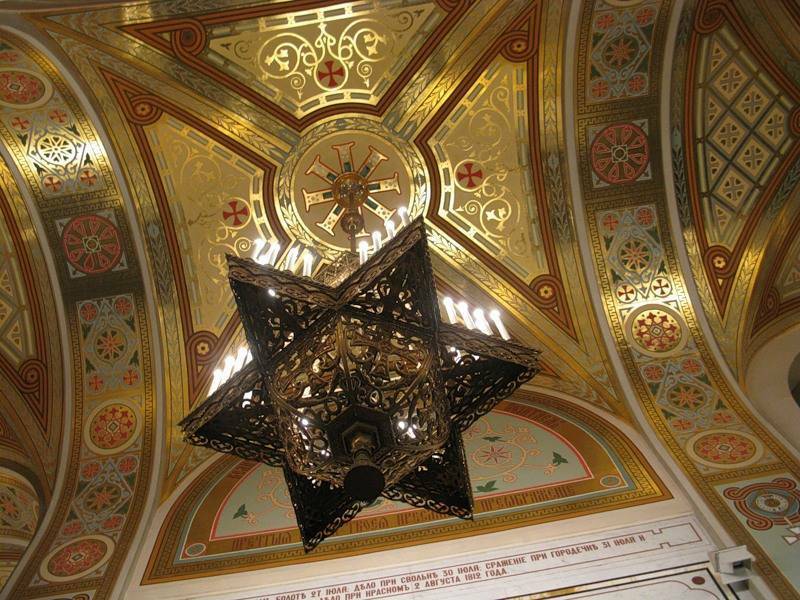 The Sunday School and the Orthodox Youth Club are open at the Cathedral. One of the must-see places in the capital. When I was near the сathedral, my first thought was, it’s so beautiful! 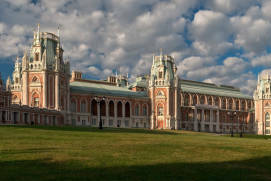 The surrounding territory is spacious, with lots of flowers and fountains, and an impressive Alexander II monument guarded by lions. The building looks really majestic. 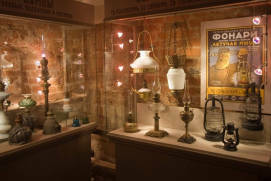 There is a lot of light and space inside, so it’s even more like a museum. Maybe there just hasn’t been enough time yet for a proper atmosphere to set. 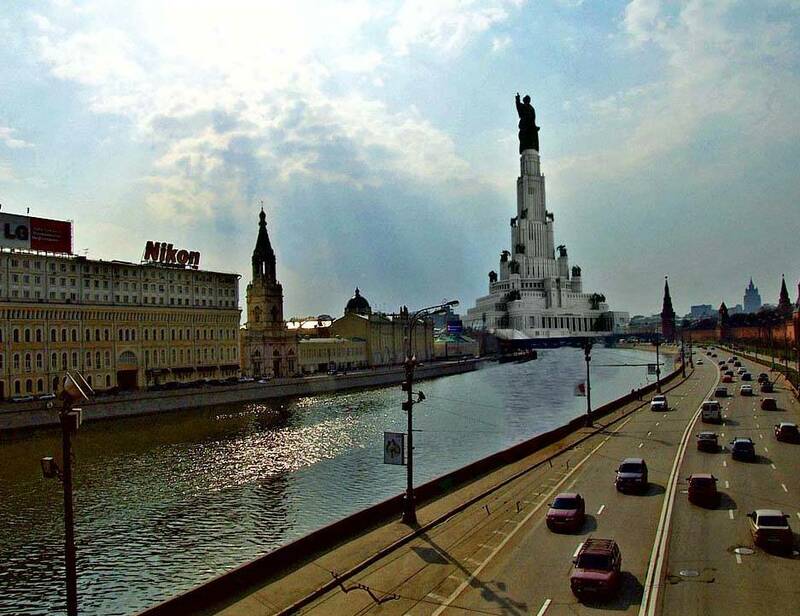 I would divide this sight into three: the Cathedral of Christ the Saviour, Preobrazhenskaya Church, and the viewing point. The cathedral itself feels somewhat cold... It’s beautiful but pompous and crowded... Everything huge and luxurious... Makes it hard to find your way around. The lower church is more intimate or something. It feels so good there. 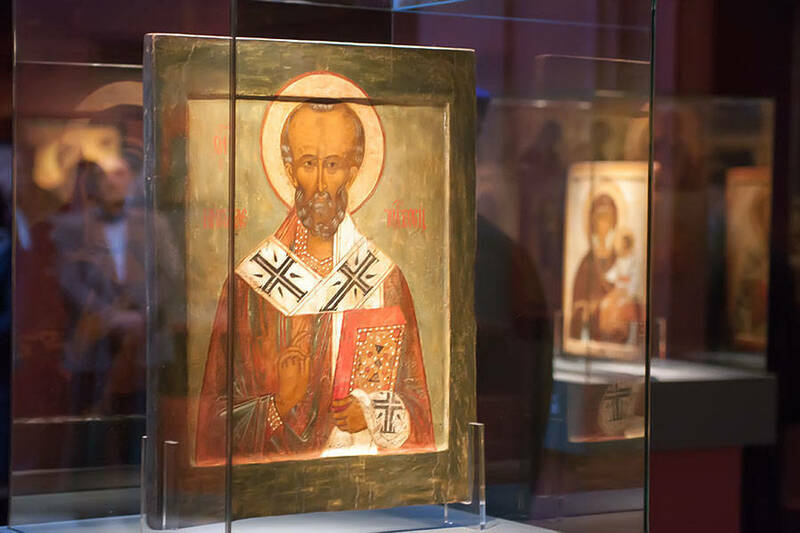 And what an outstanding icon of Saint Nicholas! The viewing point is just perfect! 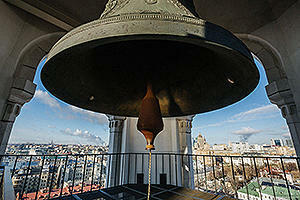 It provides a 360 degree panorama of Moscow. 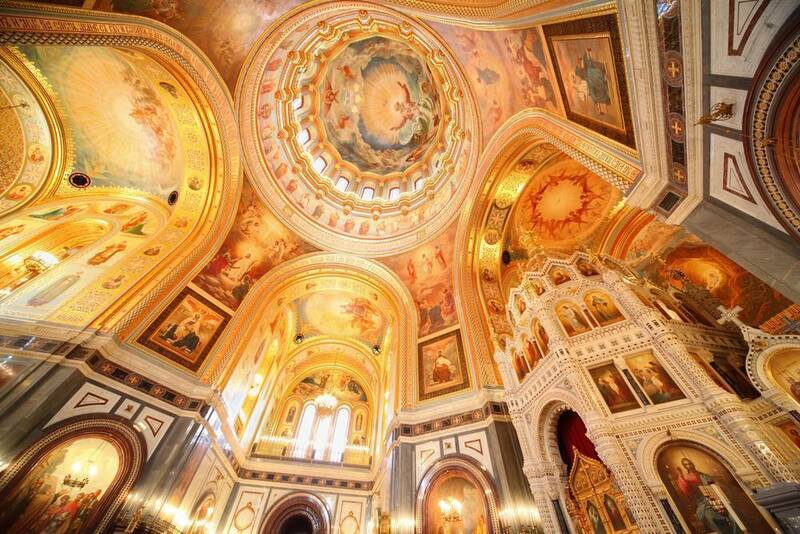 This cathedral is very popular among tourists, visitors of the city and Muscovites. The interior’s majestic splendour is simply mind-blowing. Definitely a must-see for all.